Results of the recent on-line community survey. Regarding preferences for the aesthetic treatments and colors that will be used in the Main Street Rehabilitation project. 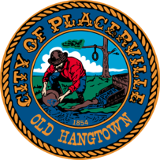 © 2019 - City of Placerville, California - All Rights Reserved.